Unfortunately, we are all living in a toxic environment, being constantly exposed to chemical-laden foods. Therefore, toxicity is almost impossible to avoid, which means that our digestive system and liver can easily become overwhelmed. We are all designed to continuously and naturally remove toxins from the body. Toxins can be divided into two categories: water-soluble and fat-soluble. Water-soluble toxins are easily flushed out of the body via the blood and kidneys. On the other hand, the fat-soluble toxins are more challenging to be eliminated. However, the human body is designed to continuously and naturally remove toxins. These fat-soluble toxins include pesticides, preservatives, food additives, heavy metals, pollutants, plastics and other environmental chemicals. They need to become water-soluble in order the body to be able to eliminate them entirely. The liver is crucial in this process. Nevertheless, if the function of the digestive and detox pathways is functioning optimal, the situation gets worse. Namely, these toxins find their way from the liver to the blood, fat cells, and brain, where they can store for years. It is believed, however, that in the case of a balanced digestion, stress levels and detoxification pathways, the storage of these harmful toxins and chemicals in our bodies can be prevented. To be more specific, when we digest a meal, the nutritional and toxic fats are shuffled through the stomach into the small intestine where bile secreted from the liver and gallbladder emulsifies them. There are millions of small villi and lacteals in the small intestine, which are little finger-like “grasses,” or mucus membranes. They sweep the gut and help the absorption of nutritional fats and send the toxic fats on to the liver for processing. If this detoxification pathway is damaged, the body will not remove toxic fats, but will store them instead. Moreover, the very beginning of the body’s lymphatic system is called the Gut Associated Lymphatic Tissue (GALT), and it surrounds the entire intestinal tract. It is here, in fact, that lacteals help absorb and process both nutritional and toxic fats. It is extremely important that the ¼ inch on the inside of the gut wall has those villi and lacteals functioning well. Also, the ¼ inch on the outside of the gut (which is that lymph tissue) must not be congested. Then, the lymphatic system around the gut will bring all the absorbed fats back to the liver, which will use the good fats in order to make cholesterol, cell membranes, hormones, brain cells and skin. The liver processes them and marks them for elimination. In the case of a congested lymphatic system, this natural process of using good fats and eliminating bad fats can be severely harmed. The intestinal villi (grass-like mucus membranes) can be damaged by numerous factors, such as diet and stress, which can compromise the function of the bowels. The intestinal villi can even dry out in the case of excessive stress, and lead to occasional constipation. A history of constipation can dry out these villi and force them to produce reactive mucus. When the mucus is excessive, the stools could appear normal (1-3 regular bowel movements a day), but you could still be bloated, unhealthy or carrying extra belly weight. If the mucus is even more excessive, the stools can become more frequent, looser and diarrhea-like. However, note that in the case of mucus in your stool, you should immediately address the issue. It signifies that the villi become congested and bogged down in the excess mucus. In this case, the process of breaking down of toxins is blocked by the delivery of good fats, excretion of toxic fats, the normal immune response, and the health of the intestinal skin. Normally, the neutralization of toxins absorbed into the lymph is performed by immune-boosting white blood cells in over 500+ lymph nodes in the lymphatic system. Yet, if the mucus is excessive, it may not happen and the toxins are directed back to the liver. In order to prevent the toxins from defaulting back to the liver, a delicate balance of the mucus membranes of the intestinal tract should be achieved, they should not be too dry or too wet. The intestinal villi may also be compromised by some other factors, including stress, worry, processed food, coffee, soft drinks, food additives, and hyperacidity. Moreover, the optimal bile flow from the liver is extremely important for our health, as the bile gobbles up fats and acts as the great immune system responder in the digestive tract. It will gobble up heavy metals, parasites, pesticides, bad bacteria, and numerous other chemicals that can harm our body. In the case of plenty of fiber in the diet, the heavily loaded bile will be taken to the toilet. On the contrary, if the diet is deficient in fiber, up to 94% of the bile gets reabsorbed back to the liver to be recycled, along with its toxins. Therefore, the liver can become overwhelmed as it is not expecting the return of these toxic fat cells. Consequently, the liver can become congested over time and the bile can turn thick and sludgy, making it more difficult to break down the fat-soluble toxins, as it will be unable to buffer the stomach acids that start to enter the small intestine. The acid irritates the villi, and leads to a production of more congestive, reactive mucus. This can also block the flow of pancreatic enzymes into the small intestine, and since the pancreas shares the common bile duct with the gallbladder, and when the flow is blocked or sluggish, the digestive process can be compromised. In the case of a congestion of the biliary tubes in the liver with thick bile and toxins, the liver pushes the fat-soluble toxins into the blood stream, and they find their way into the fat cells where they can store for many years, leading to degeneration and oxidation (free radical damage). All parts of the body, including the brain, can be the target of these toxins. It is becoming more common for the toxins to become neurotoxins and deposit in the fatty tissues of the brain, causing cognitive problems and a host of health imbalances. One of the main focuses in Ayurveda is to convince the body to burn fat, and not primarily for weight loss. Namely, fat metabolism is the body’s detox fuel and it is essential to flush these fat cells in order to remove toxins. As soon as the nervous system can function without stress, the body will naturally burn fat. Hence, you can burn excess fat in a number of ways, but it is important to incorporate some major changes in your lifestyle. 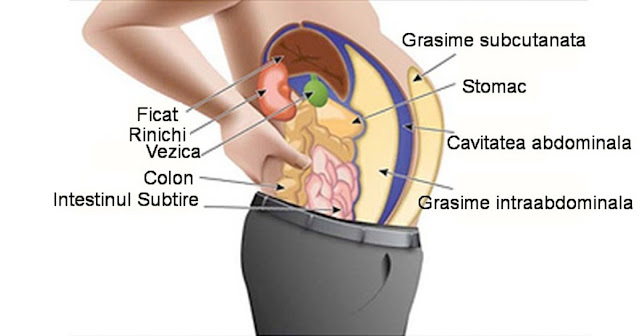 Bu it is important to learn that the integrity of the digestive system, lymph and bile flow is the most important factor in the fat-burning and detox process. At times, one cannot break down and absorb good fats since the villi and lymph around the gut are congested. As a result, so many of us are diagnosed with wheat, dairy and soy allergies. Namely, these foods are heavy, harder to digest, and are high-mucus-content foods. The gluten can irritate the intestinal wall and stimulate the production of even more reactive mucus if there is already excessive mucus in the gut, and the gluten was not properly broken down in the stomach and upper small intestine. Thus, it can severely compromise the ability of the intestinal wall to act as a health barrier for the body. It is not that difficult to have to reduce or even eliminate these foods for some period of time, but it is extremely hard to eliminate wheat and dairy products completely for the rest of your life. If you experience occasional constipation or loose stools, see mucus in your stools, it may be a symptom that your detoxification and assimilation pathways are compromised, so you will need to avoid certain foods, or eat certain foods to maintain regular elimination. Furthermore, if you feel that a heavy or high-fat content meal just sits in your stomach or you get nauseous or experience pain after that meal, it is a sign that your bile flow is compromised and you are likely storing toxic fats. Therefore, in order to address these issues, you need to follow certain rules and accept certain suggestions in order to help your body system combat these harmful influences. Ayurveda maintains that you need to support the health of the skin of the intestinal tract, flush the lymph, and de-stagnate the bile and liver in the case of this kind of problems. There are many suggested ways to aid your body and cleanse it from toxins and other harmful chemicals that we are constantly exposed to. Namely, there are certain foods that are extremely beneficial in cleansing your liver and restore its proper function, including garlic, grapefruit, beets, carrots, green tea, green leafy vegetables, apples, olive oil, avocados, alternative grains, cruciferous vegetables, lemons, limes, walnuts, cabbage and turmeric. It is important, that you eat as many apples, or drink as much apple juice as you can for 4-5 days before your cleansing treatment. Also, you can take malic acid supplements. In the last 2 days, drink 8 oz of apple juice every 2-3 hours. In this way, you will ensure the success of the cleansing procedure. After this, on the first day of your cleansing procedure, eat a light breakfast with no fat. Thus, you will enable the bile in your liver to accumulate, putting pressure in your liver. This pressure will eliminate more stones in your liver. At 2:00 PM, the same day, mix 4 tablespoons of Epsom salts in 3 cups of water, and pour the mixture in a jar. Store the jar in the fridge to cool. Do not drink or consume any foods after 2 PM. At 6:00 PM, drink 3/4 cup of the previously prepared mixture. Its taste may be unpleasant for you, so you can add 1/8 tablespoons of powdered Vitamin C to improve the flavor. At 8 PM, drink another 3/4 cup of this mixture. Get all your errands done, and prepare for the liver flush. It is extremely important to note that you shouldn’t do anything after doing a liver cleanse, just lying down and sleeping. At 9:45 PM, pour 1/2 cup of virgin olive oil into a jar. Squeeze the entire grapefruit into the mix, removing the pulp with a fork, or chopsticks. You should have 1/2 to 3/4 cups of grapefruit juice mixed with the virgin olive oil the jar. Close the jar, and shake it very hard until it is all liquid. At 10 PM, drink this mixture. Try to consume the whole mixture in 5 minutes. After this, lay down in your bed. Lay on your right side, with your right knee up towards your chin for 20 or so minutes. Stay still, and do not move at all, if possible. Try to sleep. The next morning, when you wake up, drink a third dose of your 3/4 cup Epsom salts, and you can go to sleep again after that. Drink the last dose of the mixture with Epsom salts two hours later. Only after 2 more hours can you eat anything, but do not eat solid fruits just yet. You can start with liquids, and move slowly to fruit. This cleansing detox procedure is extremely effective. Remember, you are the only one responsible for your own health, so help your body when in need!